The Hel Performance British Motostar standard class 2017 champions will field five riders in this support series to the British Superbike Championship. 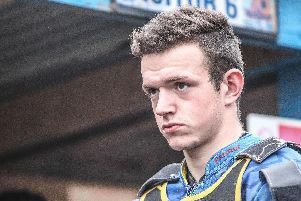 14-year-old race winner Charlie Atkins will complete his third season with the team, having finished fifth overall last season. He ended 2017 with a wildcard race in the European Talent Cup in Valencia. Jake Clark, also 14, will ride for the team for a second year. After his rookie season he was 13th despite not joining the team until the fifth round. There are three new additions to the team including Scotland’s Jack Hart. Currently 12 years old, he won all three Scottish 125 championship titles in 2017 and competed in the very competitive European Talent Cup, predominantly at circuits in Spain. 14-year-old Scott Ogden also joins Wilson Racing after featuring at the final rounds of the Moto3 championship last year. He was a championship contender in both the Superteens and the Team Green Junior Cup on a Kawasaki 300 in 2017 until an unfortunate accident mid-season. On his return from injury Ogden made the switch to Moto3 in preparation for a full season in 2018. The final new addition to the team is another 12-year-old. Welsh youngster Osian Jones is the younger brother of Dan who won the Moto3 standard class in 2016. Last year Osian rode an Aprilia 125 in the Superteens championship. Back in 2014 he won a prestigious race for youngsters organised at the British MotoGP on his Metrakit 50. He has also spent time racing and testing in Spain and Holland. Additionally, three of the team’s riders are competing in the first ever British Talent Cup. Charlie Atkins, Scott Ogden and Jack Hart were all selected last year to compete in the series run by MotoGP organisers Dorna in 2018.